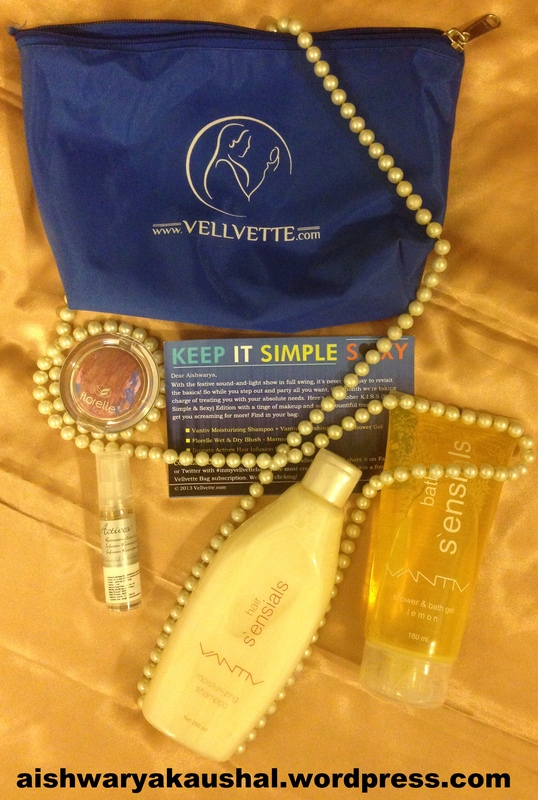 The Vellvette Bag is BLUE this month! It feels like they put in an effort to personalize the bag this time. My hair is very dry and I am quite pleased to receive a moisturizing shampoo. My friend, who has normal hair, received an energizing version. This smells strongly of lemons, almost like the lemon hard candy we used to eat as children, which I personally find refreshing but it may not be everyone’s cup pf tea. However, I would’ve preferred to receive the Cool Water version like some of the other subscribers did! Both these products are full size and cost Rs. 187/- and Rs. 214/- respectively. 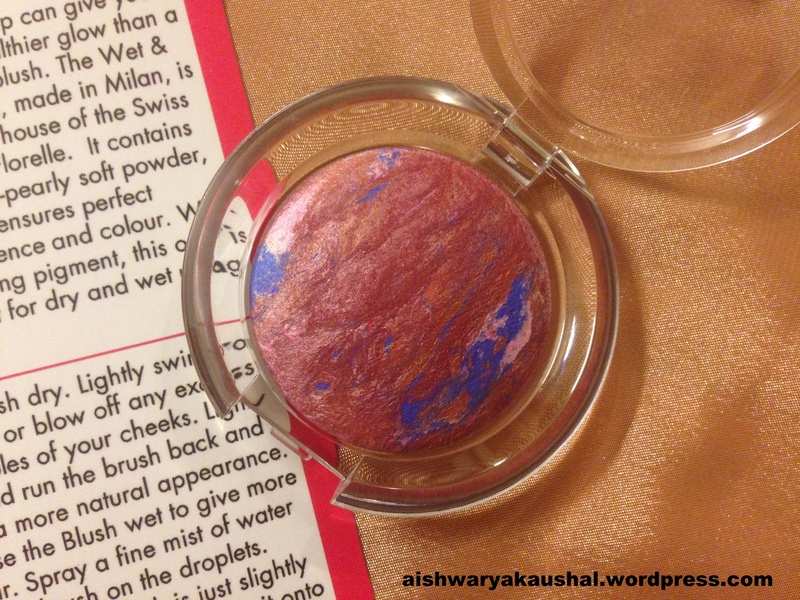 It gives a beautiful sheen to the cheeks. I have only used it dry and was happy with the results. It is a plumy pink shade that is wonderful for the Autumn/Winter time. I like that it doesn’t have chunky glitter and can be worn easily during the day. 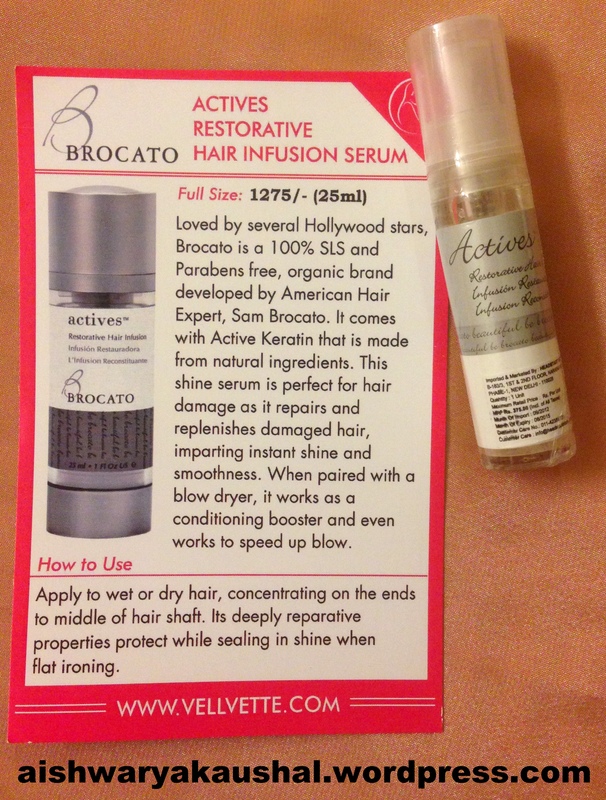 I am excited to try this product as I have damaged hair after chemical treatments and coloring them for years! I am satisfied with this month’s bag. 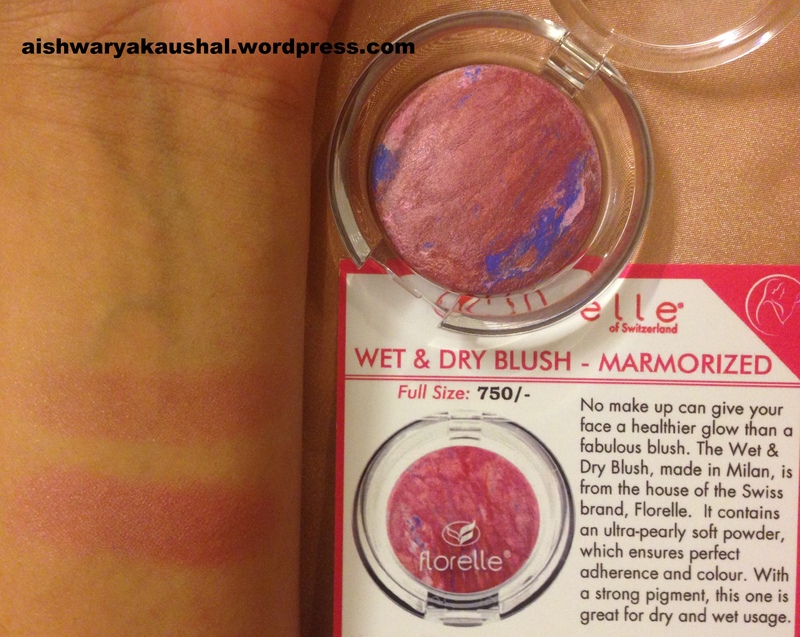 The blush is beautifully pigmented unlike the eye shadows we received last month! The bag is personalized to my needs which is a pleasant relief. 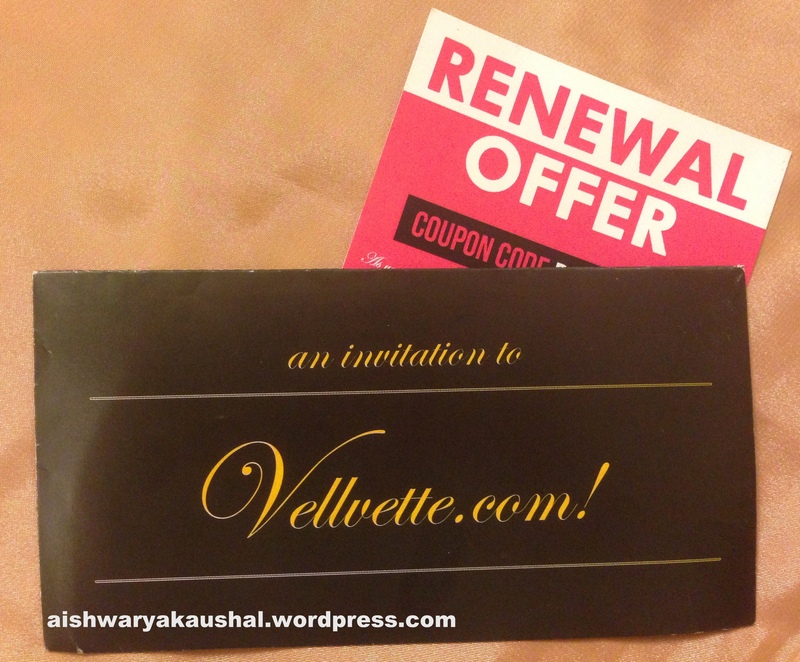 My subscription expires this month so I also received a renewal offer to get 10% off when I book a new one. I am happy with this month’s box but I wonder when Vellvette will start sending products from brands like Dior, Clinique, Lush, Kerastase, Caudalie, Clarins, Shiseido, Lancome etc because it shows all these products on the website. I am going to renew my subscription in the hopes of being sent products from luxury brands so I can try them out before spending a ton of money on them. This is what beauty subscription boxes are supposed to do. 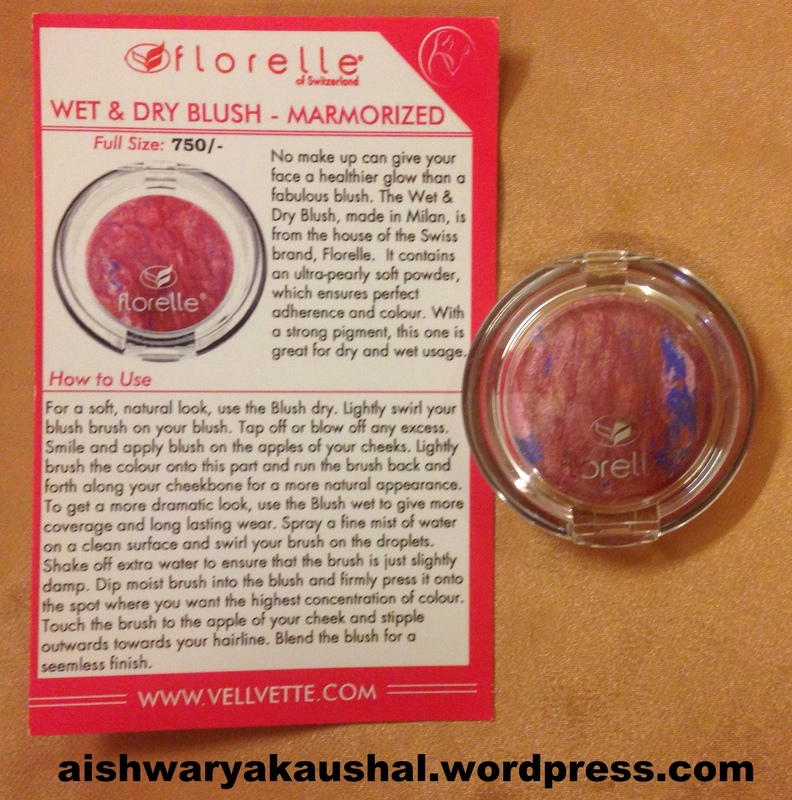 When I look at international beauty boxes like Ipsy and Birchbox, they provide 5-6 items per bag for $10 that are great value, I feel like Vellvette is probably not doing enough. 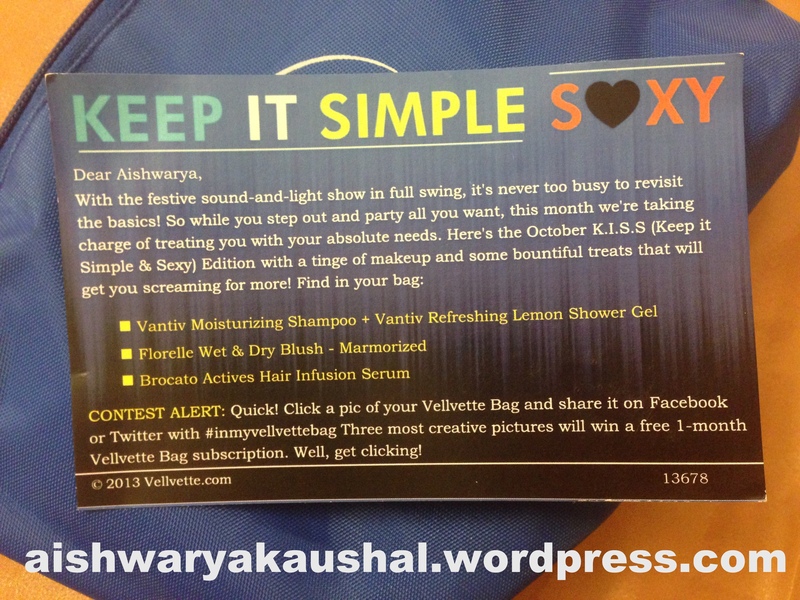 Maybe, it needs more competition and we need more such beauty or fashion subscription services in India! I also have a coupon to give any one of you Rs. 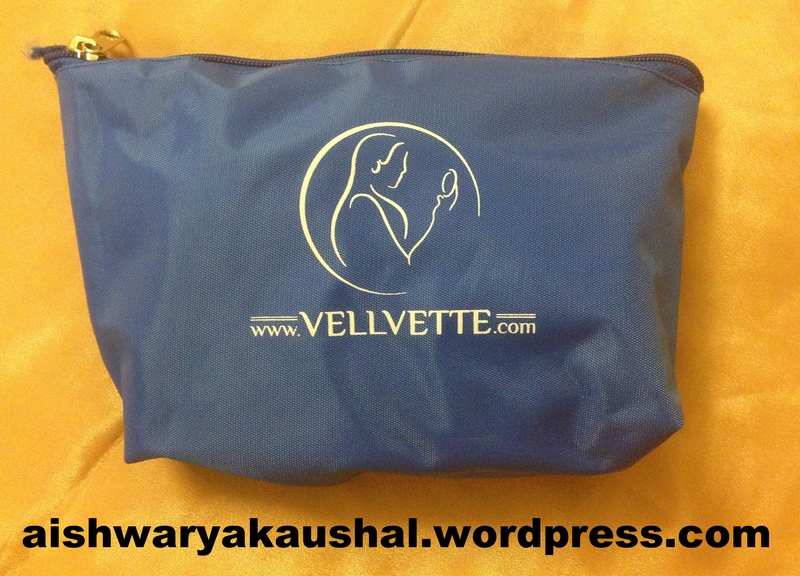 100/- off of your first bag. Please email me at queriesforaishwarya@gmail.com if you are interested. I will send it to the first person who emails me. Yes! The shampoos are ok but they retail for like Rs. 200/- which we wouldn’t mind buying ourselves!